D Patrik Maier (Kamloops, Moose Jaw, 2014-16) has signed a tryout contract with Benátky nad Jizerou (Czech Republic, 1. Liga). Last season, he had a goal and three assists in 53 games with Nové Zámky (Slovakia, Extraliga). . . .
F Dustin Johner (Seattle, 1999-2004) has signed a one-year contract with the Belfast Giants (Northern Ireland, UK Elite). Last season, with Villach (Austria, Erste Bank Liga), he had 13 goals and 26 assists in 54 games. In this space on Thursday, there was a revisitation of a confrontation between a couple of WHL head coaches. Yes, there was photographic evidence, too. 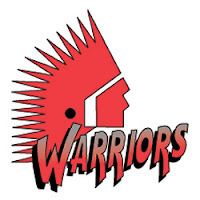 The picture and story prompted all kinds of responses, including the above tweet from Brent Parker, who was the Regina Pats’ general manager for 15 years so was front and centre in a lot of the rivalry with the Moose Jaw Warriors. In the tweet, he referred to the shenanigans that went on during a home-and-home series on March 24 and 25, 2000. The series opened in the Moose Jaw Civic Centre, aka the Crushed Can. At the time, the Warriors had a mascot with the moniker of Puckhead and it looked pretty much like you might imagine — with a giant puck for a head. At one point during the game, Puckhead was taunted by a few fans who apparently were pals of Pats F Ryan Thomas. One thing led to another and a couple of the fans bodychecked Puckhead. When Puckhead shoved back, one of the fans, according to a piece at CBC.ca, began punching her. Anyway, during the altercation, Puckhead’s head came off. You know that the two fans were surprised to see a woman’s face looking back at them, and they quickly and quietly exited stage right. There were reports of threatening phone calls to the Pats’ office the following day and, of course, Parker made reference to threatening faxes. For the record, the Warriors won the Friday game, 6-3, in front of 3,074 fans. The next night, the Pats posted a 3-2 victory before 6,231 fans. Yes, there was a line brawl. No, K9 wasn’t there to witness it. The rivalry between the Seattle Thunderbirds and Everett Silvertips may have taken another turn away from love on Thursday. That’s because the Thunderbirds, the WHL’s reigning champions, have hired Kyle Hagel as an assistant coach. quite familiar with each other. There is a whole more to Hagel than a scrap, however. Hagel, 32, is from Hamilton. He played four seasons at Princeton before going on to a pro career that ended after last season. A defenceman who sometimes played on left wing, he played the last three seasons with the AHL’s Charlotte Checkers. After 2014-15, Hagel was honoured as the AHL’s IOA/American Specialty AHL man of the year. He was presented with the Yanick Dupre Memorial Award, which is awarded annually, according to the AHL, to a player “for his outstanding contributions to his local community and charitable organizations.” That was the fifth time that Hagel had been nominated by his AHL team for the award. O’Dette and Hagel met for the first time when they were teammates for part of the 2008-09 season with the ECHL’s Fresno Falcons. That was Hagel’s first season as a pro player, while it was O’Dette’s last one. The Thunderbirds will hire one more assistant coach before the season. 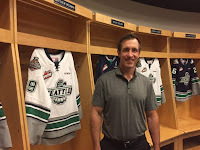 One vacancy was created when the Thunderbirds moved Matt O’Dette from assistant to head coach after Steve Konowalchuk left for the NHL’s Anaheim Ducks. The other spot came open when assistant coach Tyler Alos chose to leave the organization. G Rylan Toth, who played out his junior eligibility with the Seattle Thunderbirds last season, has decided to attend UBC and play for the Thunderbirds in 2017-18. . . . Toth led WHL goaltenders in regular-season victories (36) last season. He had a 2.75 GAA and .902 save percentage. He suffered an undisclosed injury late in the season and didn’t play again until getting into two games during the Memorial Cup tournament. . . . Toth also played two seasons with the Red Deer Rebels. . . . In 158 regular-season games, the Saskatoon native was 90-51-13, 2.76, .906. 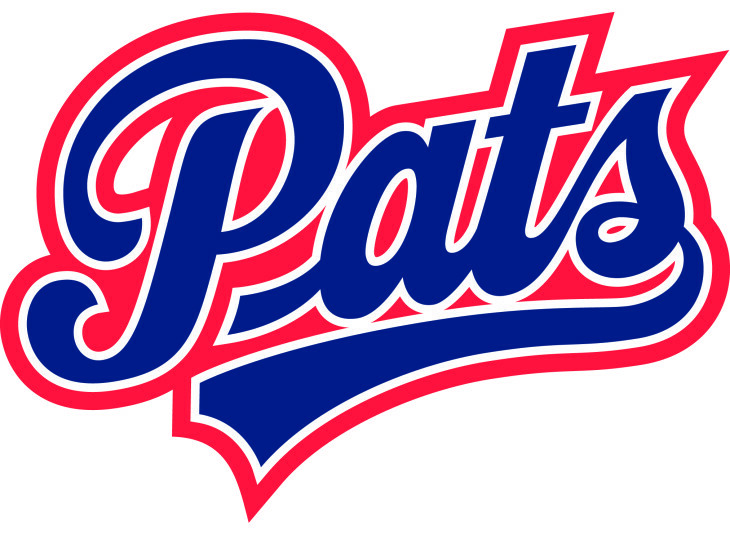 The BCHL’s Cowichan Valley Capitals have signed Brian Passmore as their new general manager and head coach. He takes over from Bob Beatty, who has resigned after four seasons with the Capitals. Beatty had spent 17 seasons in the SJHL before signing with the Capitals prior to the 2013-14 season. . . . Passmore, 37, has been the head coach of the bantam prep team at Shawnigan Lake School for the past two seasons. . . . Passmore also has coaching experience in the junior B Vancouver Island Junior Hockey League, having spent two seasons with the Peninsula Panthers and one with the Westshore Wolves. . . . The Capitals also announced that Dan Whiteford will be back for a second season as assistant coach, while Darren Rodney, who had been the assistant GM, now is director of hockey operations. Mike Fraser, who scouts for the Brandon Wheat Kings, also has been writing a weekly column for the Brandon-based Westman Journal. In this week’s ponderings, who looks back at five years with the Wheat Kings. That column is right here. . . . With the Journal undergoing a change in the editor’s office, Fraser has chosen to step back, so next week’s column will be his last one. Darren Steinke, the wandering blogger, spent a lot of the 2016-17 WHL season visiting various arenas. On Thursday, he blogged about his travels and how much fun he had. It’s all right here.